It has been only 54 years since Singapore declared independence, but the island nation has grown to be one of the most powerful yet environmentally responsible economies in the world. Walking through Singapore’s vibrant downtown, that meteoric rise in sustainable architecture—much of it constructed over the past decade—is reflected in a cool mix of glass, steel, and lush green edifices that create a rich panorama of structural design. 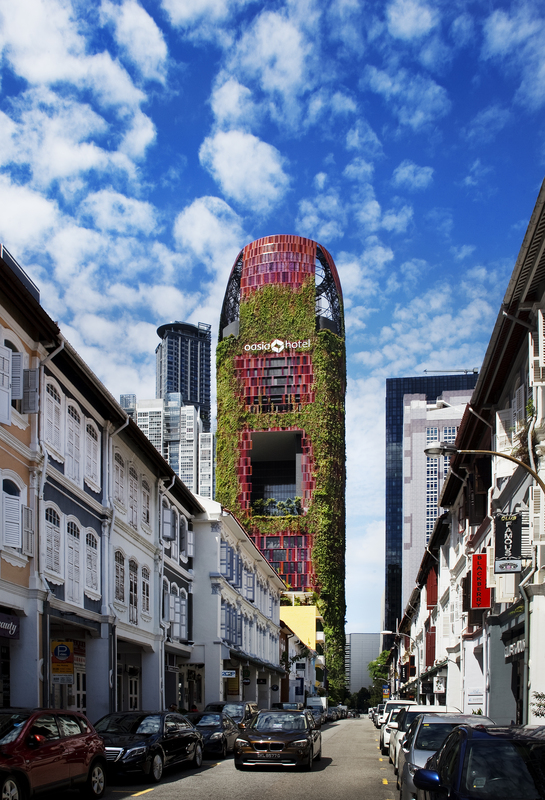 While architectural marvels in their own right, what sets Singapore’s urban buildings apart is the commitment to green initiatives. 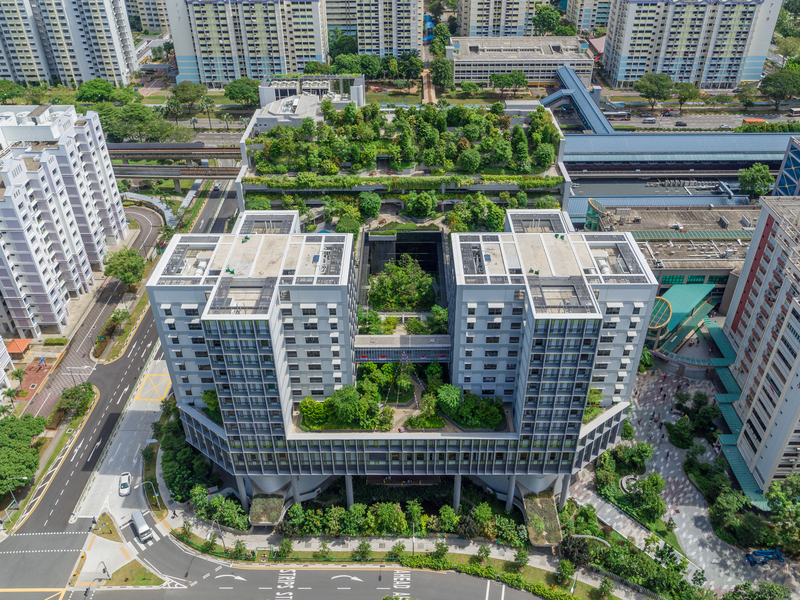 “Singapore is the only country that makes it mandatory by legislation for any building of about 5,000 square meters [53,820 square feet] to achieve minimum standards as per the code for environmental sustainability,” says Mayank Kaushal, an architect, senior sustainability consultant, and researcher with Future Cities Laboratory, a program supported by ETH Zurich and Singapore’s National Research Foundation to help promote sustainable future cities through research, science, and design. 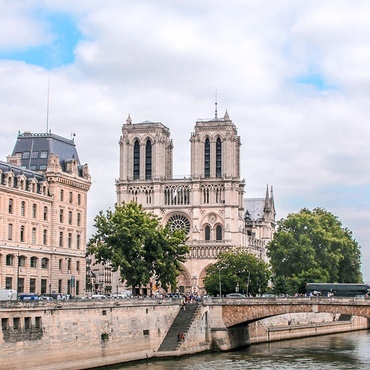 While builders are incentivized every step of the way to adhere to sustainable design practices, the most remarkable incentive is the Skyrise Greenery Incentives 2.0 scheme established in 2009 by the country’s National Parks Board, which funds up to 50 percent of installation costs of rooftops and vertical greenery—more than 110 projects to date. 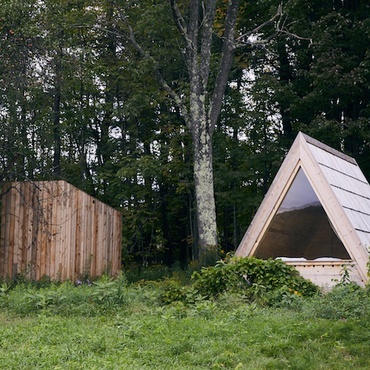 The result has been stunning builds ranging in scale, scope, and purpose yet with a common theme of using natural elements cleverly to reduce the impact of urban living. Oasia Hotel Downtown by WOHA. Photography courtesy of Patrick Bingham-Hall. 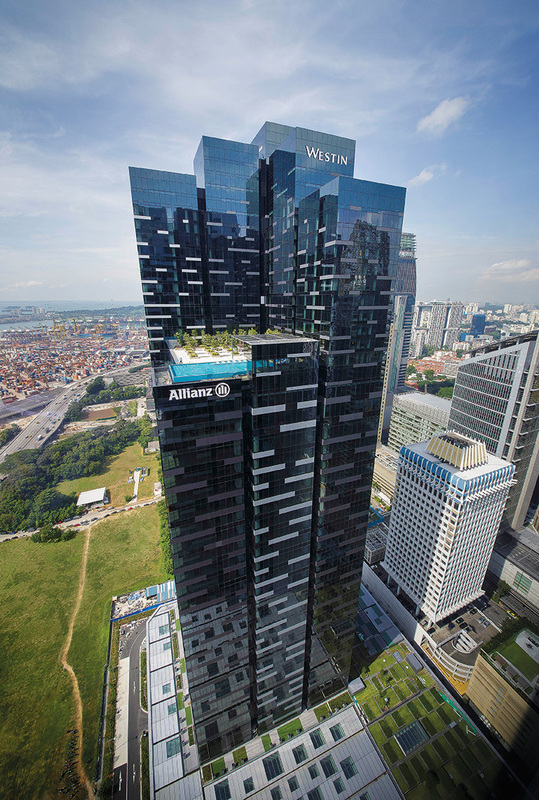 Not only is the entire 27-floor external facade wrapped in a natural vine covered sunscreen, but the Oasia Hotel Downtown also has four lush sky terraces, 1,793 large planter boxes, and four large structural cores that allow for good cross ventilation reducing the overall energy cost. 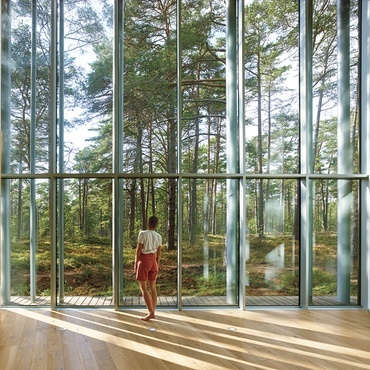 Designed by WOHA and completed in 2016, the hotel is home to over 33 species of plants and 21 species of creepers. 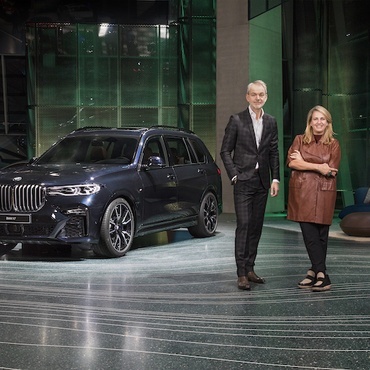 In addition, the 314-room property is notable for its striking interior design by Patricia Urquiola. Gardens by the Bay by Wilkinson Eyre. Photography courtesy of Craig Sheppard. 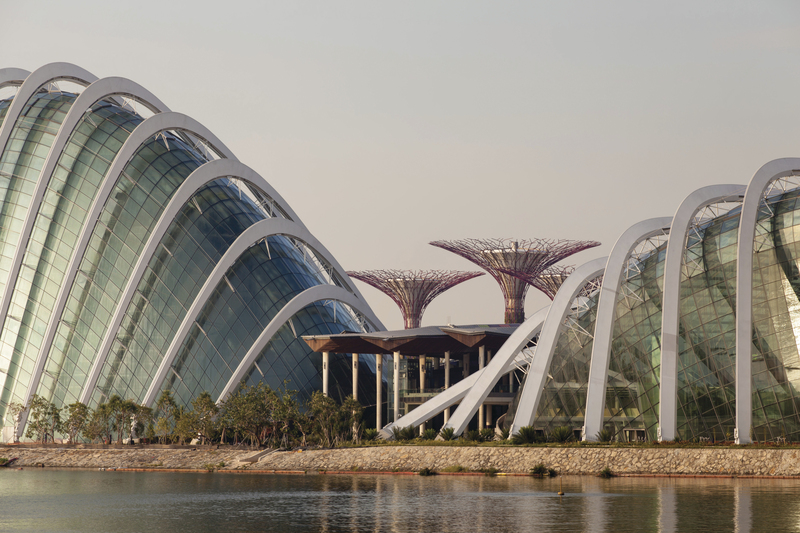 One of the biggest attractions in Singapore since its opening in October 2011, Gardens by the Bay has garnered accolades for both its sustainability and its ambitious design by Wilkinson Eyre. Gardens by the Bay by Wilkinson Eyre. Photography courtesy of Robert Such Photography. 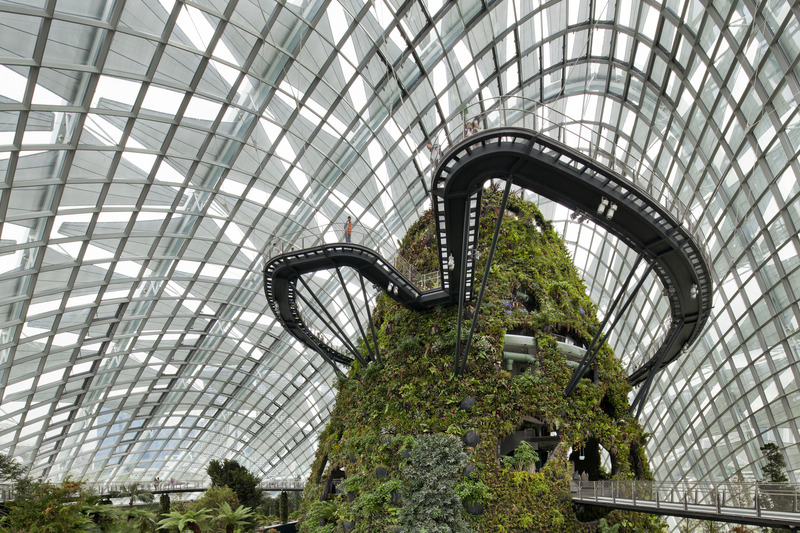 Part horticultural attraction and part showcase for green technology, the 250-acre gardens feature two conservatories (the largest climate-controlled greenhouses in the world) and a forest of 18 Supertrees, which range from 82 to 164 feet tall. The Supertrees have incorporated technologies such as PVs, which are cooling channels in their structure to moderate the surrounding environment, and a skin of living flora that uses the tree structure as a trellis and contains more than 1.5 million plants. Parkroyal on Pickering. Photography courtesy of Patrick Bingham-Hall. 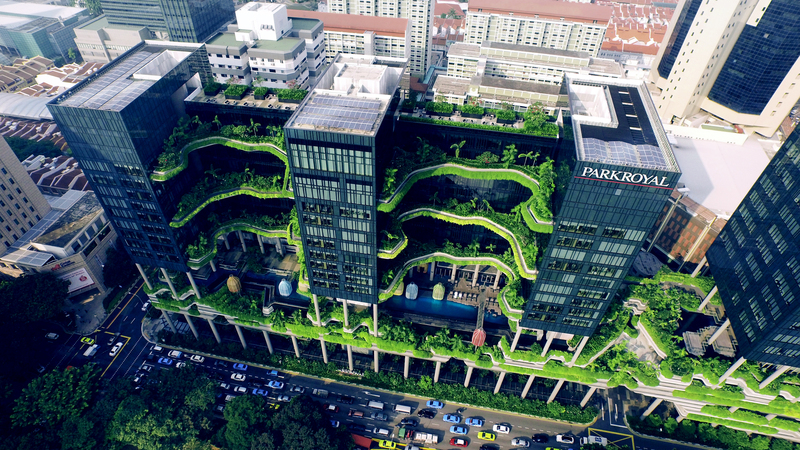 Besides incorporating rain sensors, solar power, and water-conservation and light-saving measures, as well as reduced use of concrete in its construction, the Parkroyal on Pickering—essentially a hotel-in-a-garden designed by WOHA and completed in early 2013—also features 161,459 square feet of sky gardens, waterfalls, and planter walls that constitute more than twice its total land area. Parkroyal on Pickering. Photography courtesy of Skyshot Pte Ltd. 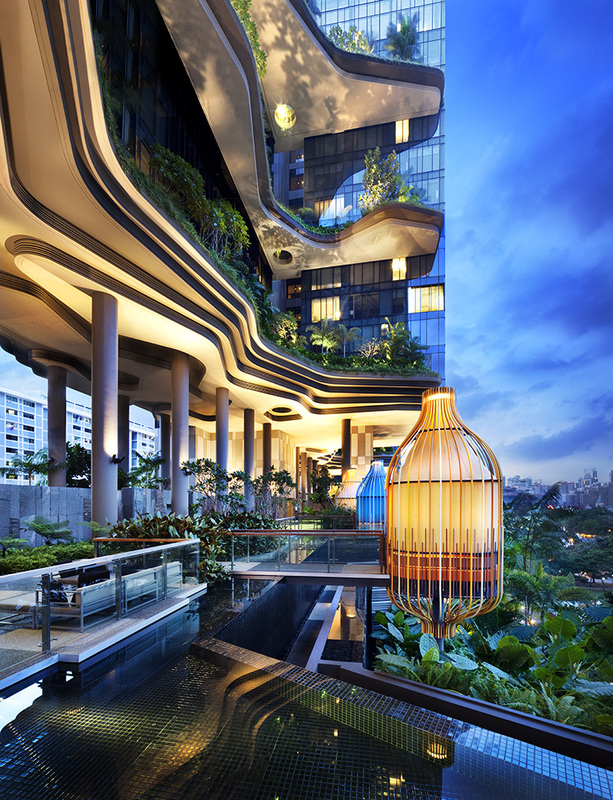 The 637-room hotel was designed with contoured and sculpted elements that form striking plant-filled outdoor plazas and terraces that draw the eye upwards from the garden and flow into the interiors, which won Interior Design’s 2013 Best of Year Award for Hotel Common Space. National Gallery Singapore. Photography courtesy of Fernando Javier Urquijo/studioMilou Singapore. 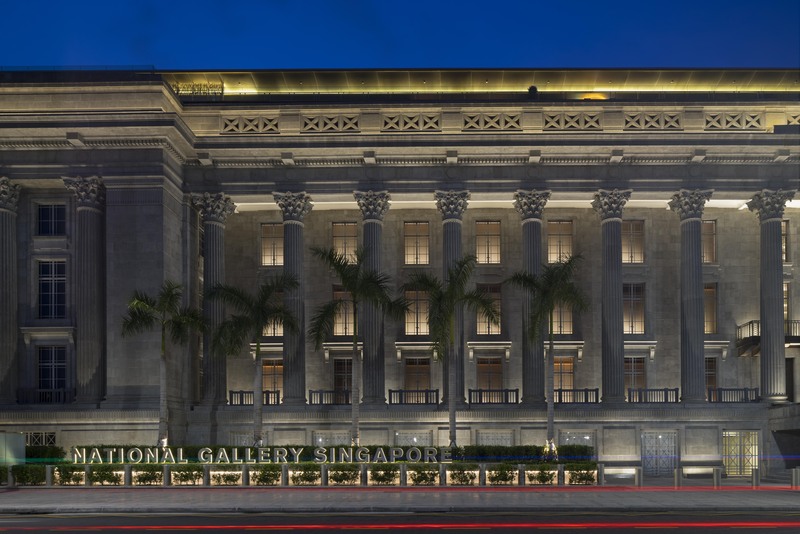 Two early 20th-century classical landmarks—City Hall and the Supreme Court—were merged using a complicated veil of glass and steel carefully positioned above to create the 690,000 square-foot National Gallery Singapore, which since late 2015 has housed the largest public collection of modern art in Singapore and Southeast Asia. 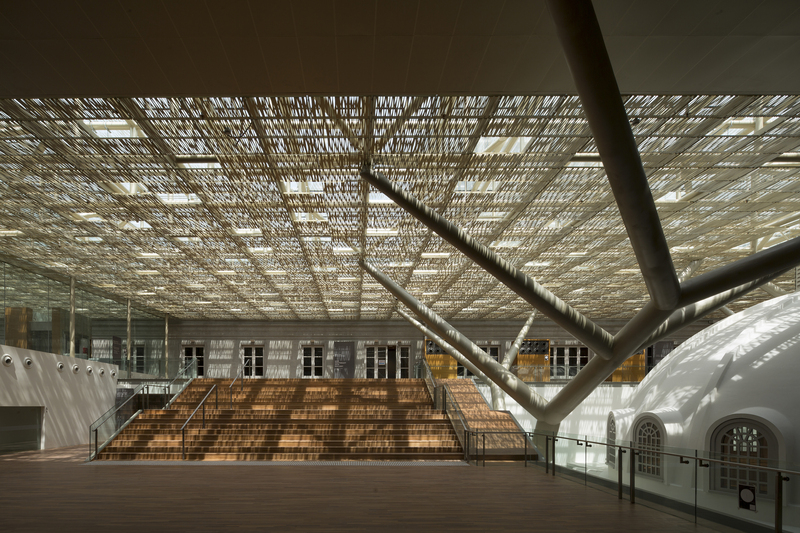 The canopy with its tree-like structure softens, filters, and controls the natural light entering the building through the rooftop veil. 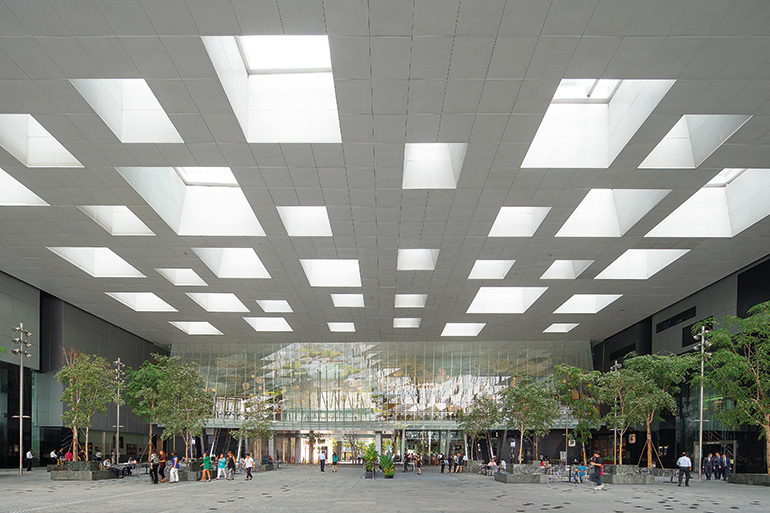 StudioMilou, in collaboration with CPG Consultants, also encased the courtyards of the former City Hall in glass atriums and allowed light to filter through the reflective pools on the rooftop level to keep temperatures down. 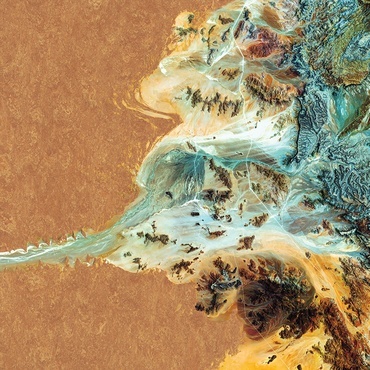 Asia Square by Denton Corker Marshall. Photography by John Gollings. 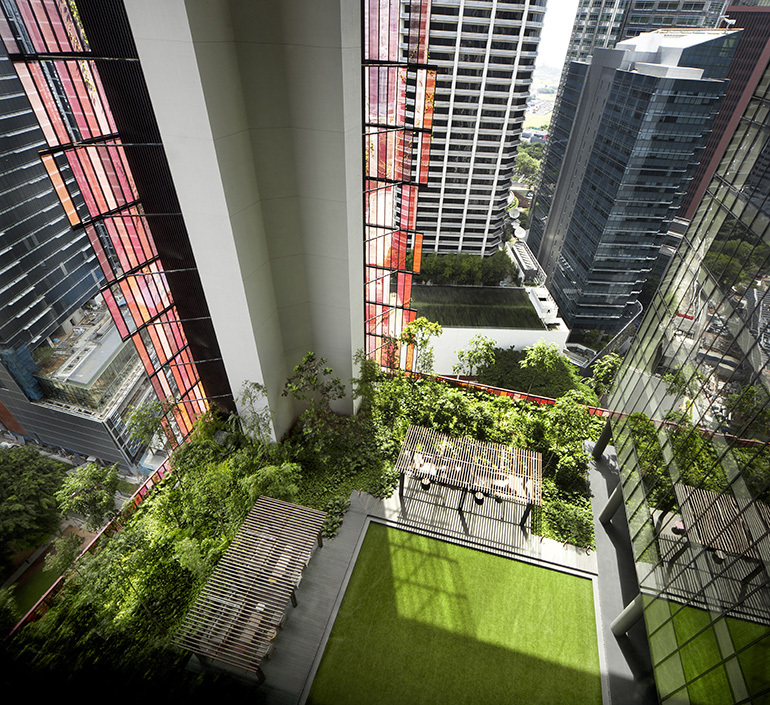 Consistently voted as one of the greenest retail and office buildings in Singapore since its opening in 2011, Asia Square was designed by Denton Corker Marshall with sustainability in mind. 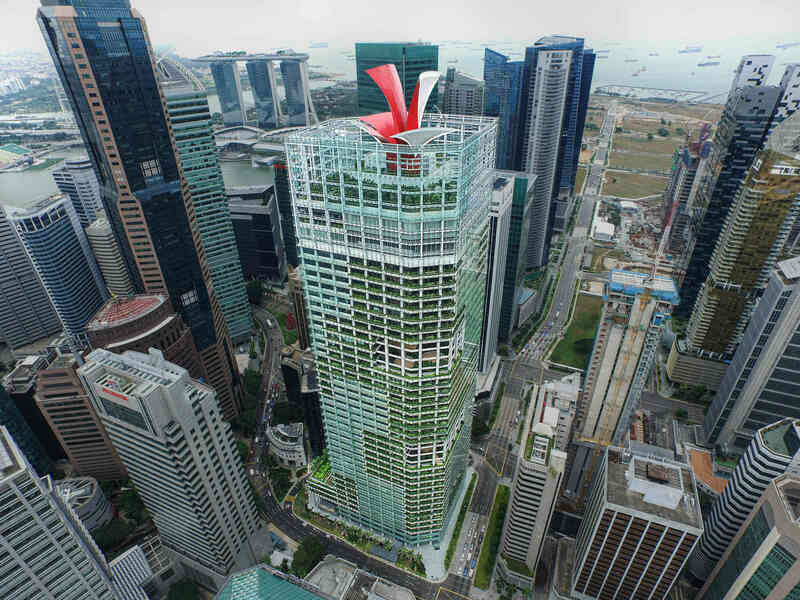 The 43-story tower, which also houses the 305-room The Westin Singapore, consumes 35 percent less energy than standard commercial buildings. Credit goes to several innovations: The kinetic energy produced by the elevators is converted back into electrical energy and redistributed into the system, water and vapor droplets are collected from the air-handling units and used to water the green spaces, and an on-site bio diesel plan uses oil collected from tenants’ eateries to generate electricity. CapitaGreen by Toyo Ito & Associates. Photography courtesy of CapitaLand. Over half the perimeter facade of CapitaGreen, a 40-story office tower completed in 2014, is covered by living plants, while a double-skin facade made up of an outer layer of frameless glass and an inner envelope of double-glazed, full-height glass reduces solar heat gain as well as serves as a greenhouse for plants to flourish. 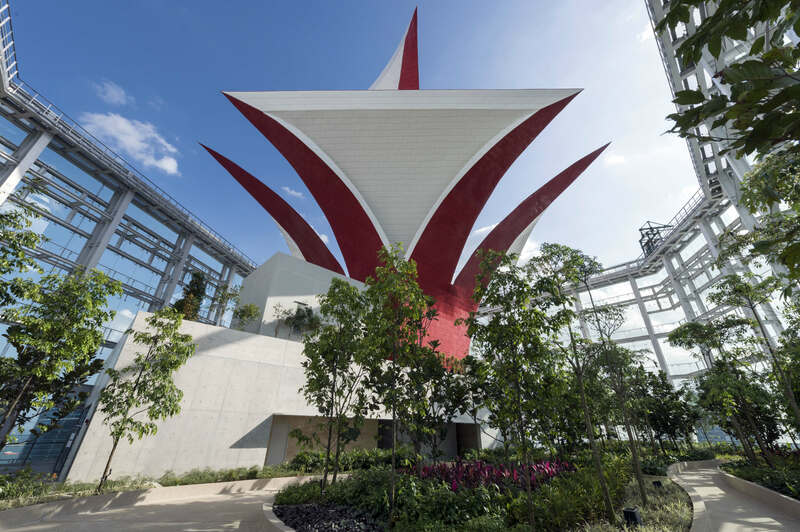 Designed by Pritzker Prize winner Toyo Ito, the building features four sky terraces that bring the outdoors indoors, while a distinctive petal-like red-and-white wind scoop takes advantage of the prevailing wind direction to draw in cooler, cleaner air and directs it to the office floors. Kampung Admiralty by WOHA. Photography courtesy of Patrick Bingham-Hall. Named World Building of the Year at the 2018 World Architecture Festival, Kampung Admiralty was designed by WOHA to mimic a club sandwich, with different functions layered on top of each other. 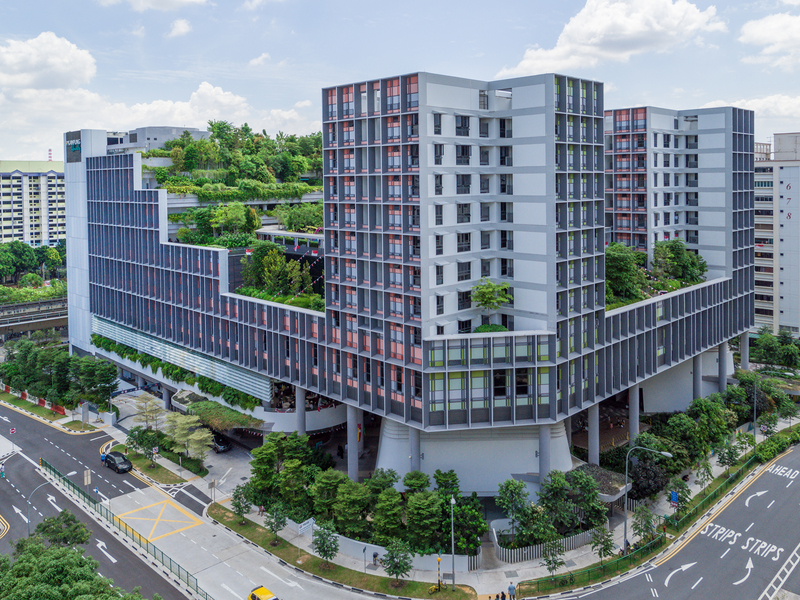 The mixed-use public facility, intended to meet the needs of Singapore’s aging population, features a community plaza on its ground level, a healthcare facility in its middle stratum (which is filled with daylight thanks to an inner courtyard) and senior housing on its upper floors and rooftop. Kampung Admiralty by WOHA. Photography courtesy of K. Kopter. 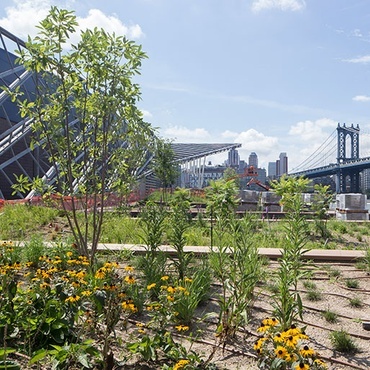 Completed in 2017, the building’s roofscape is notable for its staggered terraces filled with lush plants and pathways that functions as a community park. 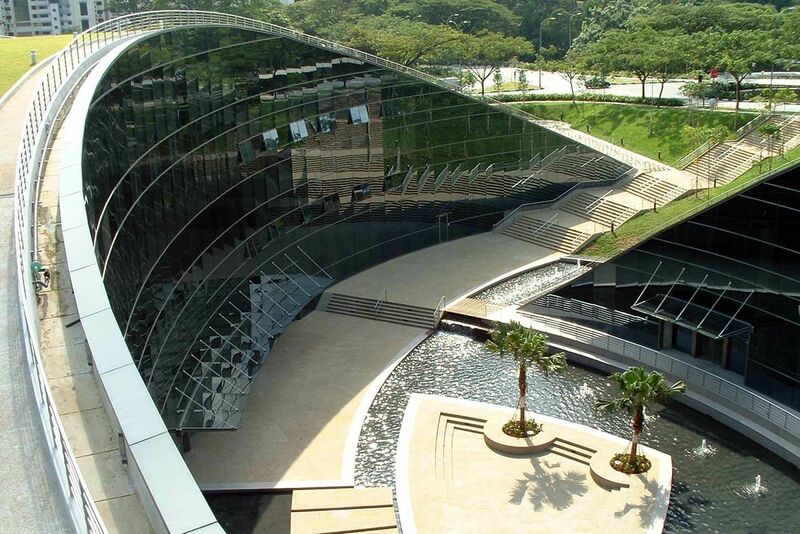 Nanyang Technology University School of Art, Design and Media by CPG Consultants. Photography by CPG Consultants. 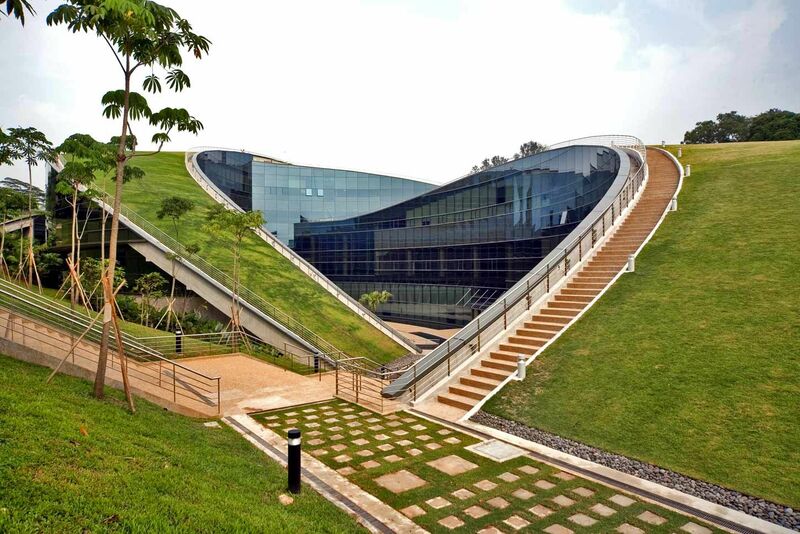 The key feature of the Nanyang Technology University School of Art, Design and Media by CPG Consultants is a green roof that slopes almost at a 45-degree angle, lowering both the roof temperature and ambient temperature and hence reducing heat gain to the air-conditioned building. 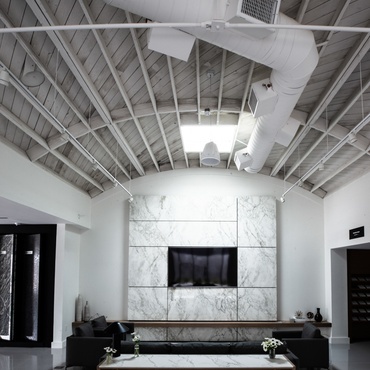 The dramatic slope of structure, completed in 2017, also encases a courtyard with water features and plants that reflect off the windows creating a soothing, relaxing vibe for the students inside. There's even more to discover in Singapore: Park + Associates' indoor-outdoor country club is on the boards for 2022, and sculptural waves repeat throughout this corporate headquarters.